The threat of your computer being infected with “scareware” is no Halloween joke. Scareware is a dangerous computer program that tricks or scares a user into paying for a useless product or downloading a malicious program such as malware. Scareware has been called many other names including fraudware, deception software, and rogue scanner software, according to Kapersky Lab. In some cases, criminals use scareware to gain access to your private computer files or in hopes of finding some of your personal information. There have been reports of hackers using scareware to shock or prank a user into believing a major threat exists on their computer. 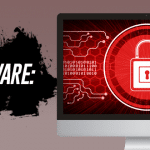 Scareware may provide continuous pop-up “warnings” claiming your computer has been infected with a virus or with a spyware program. The messages will likely tell you to take immediate action or to click a button to “scan” your computer. These pop-ups could appear to originate from a program that is being used on a computer, or could occur when a user visits a dangerous website. In many cases of scareware, even when you try to close the false warnings, your computer can become infected with malicious programs. Scareware programs are also designed to appear as if they are legitimate programs by using names of common antivirus programs. They may also look similar to a dialogue box your operating system, such as Windows, would send you. Users who fall for the trick may be told to purchase additional programs to fix the infection. 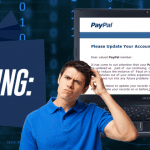 This deception not only cons you into paying money for a non-existent problem, but also helps criminals obtain your bank account and identification information. And if you are tricked into believing this fraudulent software has fixed your computer, a hacker has lured you into a false sense of security, leaving you vulnerable to more attacks. How do I avoid being a victim of scareware? Norton recommends users avoid sharing personal identification and bank account information. When a pop-up warning or window suggests you have a threat or a virus, don’t click “OK” or “download” or other buttons that might be visible. “Any message which appears on your screen screaming dire warnings of imminent doom if you do not download a product immediately is more than likely to be a scam,” Norton claims on its website. Use legitimate anti-virus software to protect from fraudulent programs. Be sure they are constantly updated, which allows the software to keep an eye out for the latest threats making the rounds. If you do receive a suspicious pop-up window, try to right-click on the item in your computer’s task bar to close it, or exit your browser by pushing Control-Alt-Delete on your keyboard. Scareware is a dangerous computer program that scares a user into paying for a useless product or downloading a program such as malware.